FlowVPN has been providing better Internet for customers since 2011 through our high speed global network. 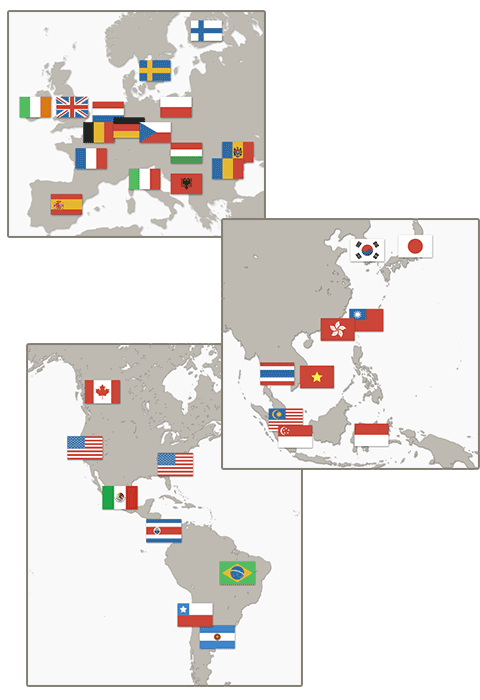 We build and maintain our own infrastructure across 50+ countries and provide 24/7 support to our customers. Get Unlimited Access to Flow VPN with a Free Trial now. Our virtual private network has over 100 servers across more than 50 countries in Europe, USA and Asia and we’re adding more all the time, actively increasing capacity to meet demand and reaching out into new territories. As well as traditional VPN servers all over the world, we’ve set up super-fast routes over premium bandwidth connecting key servers in Asia and Central America to our servers in the UK and US, bypassing the cheaper routes often used by domestic networks. Our servers are managed by our in-house technical team to ensure reliability and customer support from our Canadian team is second to none. The Flow VPN network consists of hundreds of servers across more than 50 countries. We publish ping times from each VPN server along with the latest server status information. A virtual private network routes your internet traffic through one or more servers. 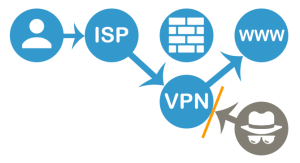 Instead of asking your ISP to provide content from websites, you connect to a VPN server via your ISP and then the VPN server places all of your requests to other websites and serves content to back to you. All your ISP can see is that you’re connecting to the VPN server. And with Flow VPN you can choose a server in one of 40 countries. Flow VPN uses the same type of encryption as online banking to make sure that if anyone happens to be spying on you while you’re on a public wifi network they can’t see what you’re doing. Performance can be boosted for international browsing by ensuring that the longest part of the journey to the server you’re accessing is done over a fast, direct route instead of using cheap bandwidth that might take the long way round. That’s quite common practice in parts of the Far East and South America – ISPs have to pay for bandwidth and direct routes across continents are often expensive, so they will choose to route traffic across longer routes to save money at the cost of performance. Choosing a VPN server in a datacentre near your location can ensure that only premium bandwidth is used to cross continents, improving download and upload speeds. What computers and devices can I use Flow VPN on? 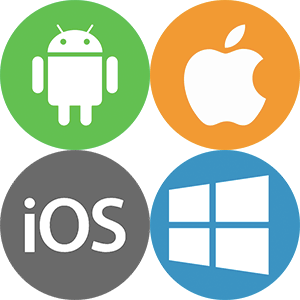 We support and provide instructions for Mac (OS X), iPhone / iPad, Android and Windows 7, 8 and 10. After you sign up you’ll be taken to our client area where you’ll find your VPN login details, you choose a country, then choose the platform you want to get started with so we can show you instructions. You can log in to your client area whenever you like to get instructions for other platforms. It’s especially easy to set up Flow VPN on Mac and iOS at the moment as you can download configuration files – just run them once and you’re ready to go. We’re expecting to offer similar facilities for Windows and Android soon. How many devices can use my subscription? 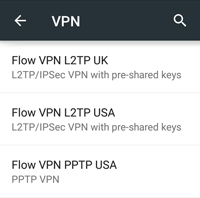 You can use your Flow VPN subscription on up to four devices at the same time. At Flow VPN we do our best to provide a reliable and flexible service, offering good quality servers in lots of locations, and supporting multiple VPN protocols so – for instance – if you can’t connect via PPTP you can try L2TP or IKEv2 instead. Most importantly, we offer a 3-day free trial to new subscribers to give you plenty of opportunity to try our VPN in a few different places before paying any money. How often can I switch server country? As often as you like! If you need to switch between a few countries regularly you can simply configure a few profiles on your device, making it really easy to switch. How does Flow VPN compare to other providers? We constantly monitor network usage to make sure that we’re providing enough server capacity in the places it’s needed most. …and if you’ve got this far you’ve probably already noticed that our service is very competitively priced!